Anthony Weiner is back in the headlines once again — this time for an even worse reason. According to a Daily Mail report published Wednesday, he allegedly exchanged explicit messages with a minor. Weiner expressed regret for putting himself "in this position," but also suggested he'd "likely been the subject of a hoax" after an unnamed 15-year-old girl gave a tell-all interview to the Daily Mail on Wednesday, complete with pictures that Weiner had allegedly sent to her and screenshots of their conversations. But rather than keep the responsibility on Weiner, some people chose to respond in perhaps the most sexist way possible — by judging his wife. The thing that should be obvious to everyone, yet tragically isn't, is that you can't blame Huma Abedin for Weiner's actions, because she has nothing to do with the decisions her estranged husband makes. The very simple and correct response to this situation is that Anthony Weiner's alleged actions have literally nothing to do with his wife. His infidelity and reportedly inappropriate relationship with a minor was a decision on his part, and has nothing to do with the state of his marriage. It doesn't matter if they were fighting or if they were apart a lot or if he wasn't getting laid enough or any of the other misogynistic reasons that someone might be able to come up with to blame his wife. His actions are on him, and that's the end of that. Furthermore, Weiner's actions have absolutely no reflection on Hillary Clinton, as some people are stating, and asserting that they do is absolutely nothing short of sexist. No woman — not wives, not bosses, not wives' bosses — has the responsibility of keeping men in check. There's no connection between Clinton and Abedin because their husbands were unfaithful, and it's not a reflection on their political abilities. Weiner is a grown man who has sole moral and ethical responsibility over himself, and even though he obviously has shown that he can't be trusted, that doesn't mean his wife can't be trusted either. 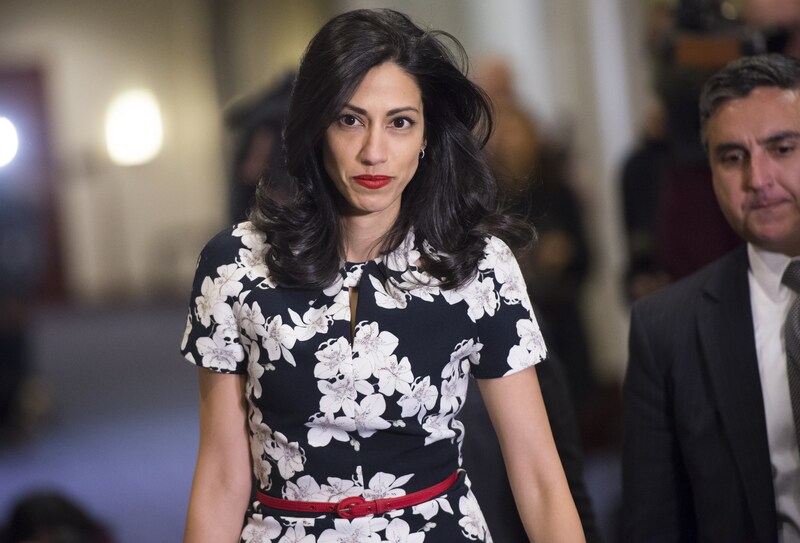 If anything, Abedin deserves a lot of credit for trying to overcome Weiner's shortcomings. Obviously, no one knows the full context of their relationship but them, but from the outside, it's a sign of strength and compassion that Abedin chose to forgive Weiner at all and try to make their marriage work again. But in no universe does Abedin have any responsibility for his sexting — just like any other adult, Weiner is solely responsible for the choices he makes and blaming anyone else for what he's done is just an extension of male privilege.